It is easy to see why Radion6 is so in tune with the world-famous DJ and producer Armin van Buuren and is on his Armada Music label (voted ‘Best Global Record Label’ five years in a row). Armin is described as “a man driven by an unbridled and relentless passion for music…. one of the world’s most popular DJs, he has always remained a down-to-earth guy.” Radion6 shares that passion and down-to-earth attitude, and like Armin, he is clocking up a track record of achievements that mean he has to be noticed. Radion6 is already a world-leading, crowd-pleasing, unmissable Dutch Trance DJ and Producer. An overnight success from the moment his breakthrough release, The Serengeti, on Spinnin’ Records/Oxygen, took off, Radion6 is going places. 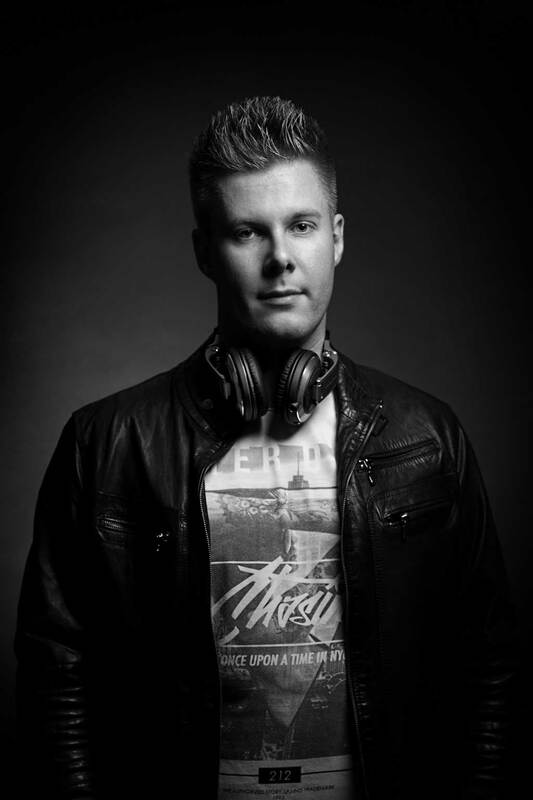 Well-known for his creativity, quality originals, inspired remixes and imaginative production styles, Radion 6 has a powerful track record of outstanding releases on labels including A State Of Trance, Armind, Armada Captivating, Flashover and High Contrast. Highlights of Radion6’s productions include the tracks ‘Livin The Dream’, ‘Hope’, ‘Beautiful Nothing’ and ‘Eclipse’. Radion6’s ‘Shockwave’ and ‘Stuck In Rio’ have been played in the biggest clubs and festivals around the world. His tracks were rapidly picked up by big names like Armin van Buuren, Tiësto, Markus Schulz, Judge Jules, Sander van Doorn, Gareth Emmery and many more. Whether his music is played live, on stage or on radio shows, it excites and energises listeners, culminating in what can only be described as a blissful, euphoric experience. Radion6 brings his mesmerising skills to the music of other leading artists, such as the sought-after ‘Simulated’ Remix for Marco V, the remix of Ørjan Nilsen’s track ‘Anywhere But Here’, and the Jurgen Vries classic ‘The Theme’. Gripped by a love of music from his earliest days, and by then a respected producer, Radion6 made his DJ debut in 2011, when he was also invited to be part of Sander Van Doorn’s tour ‘Eleve11’ in Romania. Bigger and bigger stages followed, with 2017 seeing Radion6 perform an awesome set at ASOT800 Utrecht in February, playing the Road To 1000 stage alongside other trance and progressive heavyweights like Omnia and Genix. This event, combined with leading shows such as Truth in Johannesburg and the Trance Gate Festival in Milan, plus his return to ASOT 850 in February 2018, shows that Radion 6 has arrived as a top Trance attraction. Radio6’s globertrotting has also taken him to audiences in London, Oslo, and other locations where lovers of Trance come together. Following guest appearances on Digitally Imported, Afterhours.FM, TranceBase.Fm, and Bobina’s – Russia Goes Clubbing, Radion6 launched his own Radio Show ‘Mind Sensation’ [insert link] on Digitally Imported, which airs on the second Friday of each month. Mind Sensation can also be heard on Diesel.FM, JR.FM, 1 Mix and Beat 2 Dance Radio. FuzionRadio.FM is Radion6’s sensational digital radio broadcast, with live DJ Events and lots more. For cool DJ’s and 24/7 music, it’s essential listening at http://fuzionradio.fm. Radion6 and his fans, the Radiators, are firmly established at the beating heart of the Trance scene.